While the Commissioner meeting spent a large amount of time on citizen’s concerns over Rainbow Lake, the Commissioner also spent a large portion of time discussing their future with the county’s Joint Comprehensive Plan. The annual update to the Community Work Program and Capital Improvements Element within the Joint Comprehensive Plan Document was how the agenda item was worded, yet it grew into much more with input from both Post Commissioners Travis Crouch and Dallas Miller. 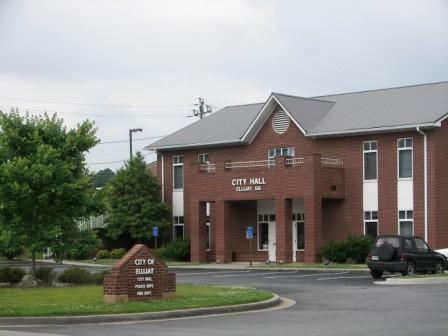 With a joint meeting to be set for input from the community involving the cities of Ellijay and East Ellijay, Crouch suggested there are far more entities that need to be involved in the process as a whole and in that meeting. Miller noted in the Regular Session that he was disappointed that there is no resolution needed on the plan. Attempting to make a point, he clarified that as a strategic planning document, it doesn’t address the counties highest priorities, its infrastructure, or anything about revenue or funding for these projects. Miller went on to say that there are many things about the document that needs to be changed to become more useful to the county instead of something the board does to maintain its qualified status for grants and government funding sources. He also noted that the document does not commit the county to anything listed on it. Counterpointing Miller’s discussion, County Commission Chairman Charlie Paris stated that he thought the fact that the document held no legal commitment was a good thing as it isolated the regional commission from the county in that aspect. However, he did note that the county does commit itself to projects on its own and nothing would stop the county from doing those things. Crouch also commented further saying the document was so frustrating to him as it is wasted potential as the county is, in fact, is addressing the issue last minute. Instead of just saying “here it is,” he wants more involvement and more usage of the document. While the Joint Comprehensive Plan is not useless, as it is required for certified status and helps in grant pursuit, the feeling from both Post Commissioners indicated they wanted more. A feeling that has been voiced numerous times over past years. Attempting to include all the stakeholders while addressing the concerns of usefulness and commitment from the board, the document could be used to create the necessary document for the Joint Comprehensive Plan. With both Post Commissioners indicating an interest in the concept, Paris suggested they take the next few months to begin the process to create the county’s own “plan.” While no direct action was taken, all three commissioners seemed agreed to pursue the plan. Also taking time from the Commissioners’ meeting was a rezoning request asking to change a property on Laurel Hill Lane from R-1 Residential to A-1 Agricultural. The applicant, Jason Rice, and his lawyer, Jeb Chatham, indicated at the meeting his intention to construct an outbuilding and hosting of animals on the property. Paris questioned if he was aware of last year’s changes to hobby livestock in Residential areas of the county. Rice said it was more about the freedom and flexibility of an Agricultural Zoning. He wanted to have more freedom to do what he wanted without worrying about the rules and restrictions of R-1. He stated he didn’t fully have it figured out, but what he wanted was the flexibility to do more. Ultimately, the zoning failed to gain a motion from the board and was then was denied 3-0 with Paris reasserting his statements from previous meetings to protect landowners who researched and did their due diligence to find a residential area and expect it not to change. It was noted in their work session that while the Planning and Zoning board recommended approval, there was opposition and a letter sent to the Chairman in opposition to the zoning changes. Their meeting continued on as the commissioners appointed Ron Cheslocke to the Keep Gilmer Beautiful Committee. 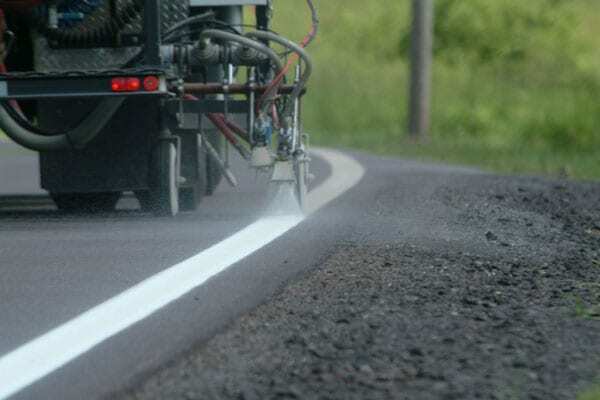 Gilmer County is currently undertaking a large re-striping project both on their own and with the Georgia Department of Transportation (GDOT) in addition to this summers LMIG. Originally, Gilmer applied every year for its Local Maintenance and Imporvements Grant (LMIG) for paving. The $629,234.66 grant, along with the counnty’s $270,025 match, will pave Burnt Mountain Road (6.5 miles), Mountaintown Road (4.65 miles), and Sunlight Road (3.1 miles). This grant will also cover fresh new striping and new signs on all three roads. In addition to that original project, Gilmer also applied for an “Off-System Safety Program Grant” of $250,000 to add nine more roads as a separate project for striping and small additions such as guard rails and signage according to Commission Chairman Charlie Paris. Those roads include Boardtown Road, Big Creek Road, Double Head Gap Road, Turniptown Road, Knight Road, Tails Creek Church Road, and Progress Road with Clear Creek Road and Yukon Road to also be done after the Atlanta Gas Light construction on those two roads is completed. This project will be fully managed by GDOT through it’s own contracts. However, citizens may not see the work being done on these roads as the striping work is being conducted at night. According to Paris, the night work for this striping is set to help avoid any traffic congestion for citizens as they go about their regular days for work and around town. Finally, a third application for up to $100,000 has been made by Gilmer that was not included in either project. The project was put forth to Gilmer’s Road Department by Chairman Paris. According to Public Works Director Jim Smith, this “Supplemental LMIG” currently includes Homer Wright Road and Whitepath Road and is being undertaken by the County itself. Now, while Smith assured citizens in a recent meeting that these two roads will see completion by April 26th, he also told FYN that further projects could be added to the grant later. This project, like the original LMIG, requires a 30% match from the County that Paris stated would be covered in the Road Department’s budget. With one project almost complete and more underway, citizens should be noticing improvements to our roads lines in the coming months.